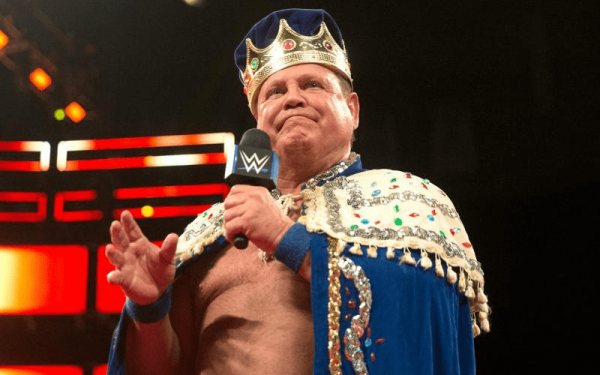 Dinner With The King Recap - Backstage at RAW, Working the Royal Rumble, McMahon's Words to Lawler at Rumble, More! Lawler informs that he had a lot of fun at Monday Night RAW last week. When he showed up that day he ran into Vince McMahon who gave him a big hug. That was the first time he’d seen McMahon in quite some time so they were able to catch up a little bit. McMahon was so excited to tell Lawler his idea for Lawler’s surprise appearance on RAW that night. McMahon wanted to film Lawler leaving his office after teasing that someone would be replacing Braun Strowman in the Universal Title match at Royal Rumble. Given that RAW was being taped in Memphis McMahon knew this would get a great reaction and it did. Lawler talks about the great catering WWE had at RAW and he notes that WWE spends $20,000/day for catering every Monday and Tuesday for television tapings. He notes that the backstage area was set up quite different at the Royal Rumble compared to most stadiums, with talent having to take an elevator up two floors to get to catering, and then having to go to the press box to eat because there was a lack of room.